Who doesn’t love some what we call “red Italian.” Growing up on the Jersey shore, this was Italian American food to us. I don’t think I realized that there was any other Italian cuisine involving non-red sauces and polenta or risotto until I was an adult! Tonight instead of just spaghetti we had bucatini, a fat strand pasta with a hole in it. 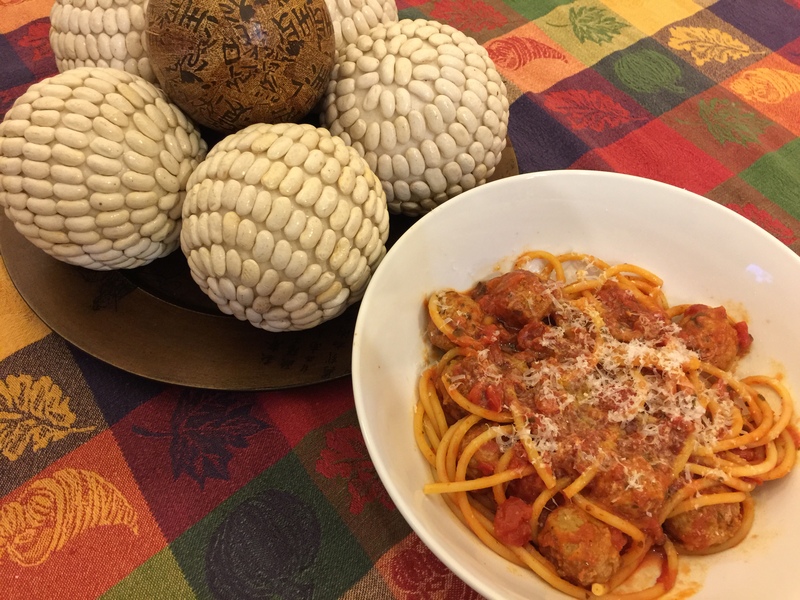 I helped along some jarred spaghetti sauce with some additional tomatoes and spices (along with my secret flavor enhancer, fish sauce) and plopped in several frozen meatballs. Easy, fast, and yummy comfort food!! This entry was posted in Beef, Pasta and tagged bucatini, meatballs, pasta. Bookmark the permalink.